The World Youth Day Vigil was held at Campo San Juan Pablo II on 26 January. Photo: Josh Low. For West Australians Simeon Dzieciol and Annellee Aguilar, their World Youth Day (WYD) pilgrimage which saw them visit Mexico and Costa Rica, before eventually arriving in Panama, was an experience they will cherish for the rest of their lives. Travelling with the NeoCatechumenal Way community, the pair spoke to The Record at the World Youth Day Vigil, held at the Campo San Juan Pablo II on Saturday 26 January. First time WYD attendee Annellee Aguilar hopes the experiences she gained while on the pilgrimage will strengthen her faith and trust in God’s will. Photo: Josh Low. First time WYD pilgrim Annellee Aguilar said being on the pilgrimage provided her with some direction to the answers she was seeking for God’s will in her life, beginning through a simple conversation with a fellow pilgrim on the bus. “Coming to this pilgrimage, I guess I was in a crisis. I had many questions about my life,” she explained. “A conversation with one of the guys on the bus caught my attention and I couldn’t help but think it was from God. “I listened to him and thought this is wonderful, how God provides exactly when I need something,” she said. Something else which stood out for her during the pilgrimage was the visit to the Basilica of Our Lady of Guadalupe, in Mexico City. “Visiting the shrine of La Virgin de Guadalupe was really touching for me, as my family is Mexican, so I felt really blessed and inspired just being there,” she added. 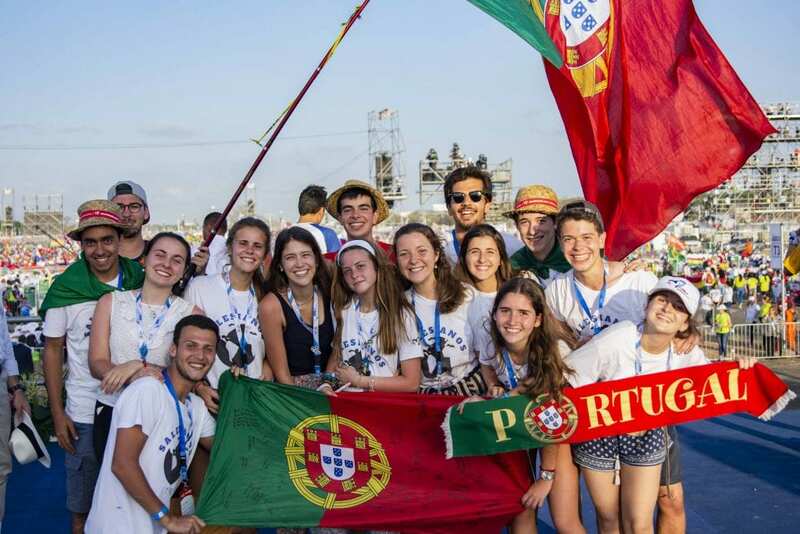 Pilgrims from Portugal, the next host of World Youth Day, to be held in Lisbon in 2022. Photo: Josh Low. Arriving in Panama and being present for the WYD celebrations though, was a life changing experience for her. “This has been beautiful and fantastic. Just being here at the WYD Vigil and seeing all these people around; there’s nothing like this,” she said. “Everyone from all over the world coming together in this one moment to have the same experience; to experience God’s love, to see Pope Francis and be together. To be able to do that in itself has been really amazing. “Having had this life changing experience, I hope to reflect on it later on in my life and remember how blessed I have been, and I’m praying that this experience will continue to give me the strength to be more trusting of God’s plan for my life,” she concluded. Pilgrim Simeon Dzieciol said being at World Youth Day has been a great blessing. Photo: Josh Low. “Amazing” is also a term used by Simeon Dzieciol in describing his experience of their WYD pilgrimage. 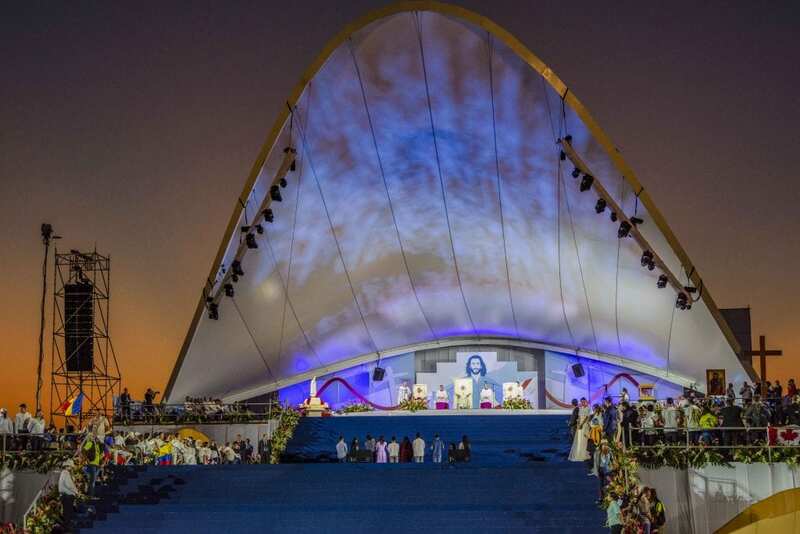 “Just being able to see different sites where Marian apparitions took place has been inspiring, especially because of all the miracles which occurred in all those places. “Also seeing the way in which some people live in sometimes poor conditions, yet do so in such a joyful way through their faith has been eye opening,” he said, adding that being surrounded by so many Catholic youths was assuring. “It’s always really good to see other young people who are ‘on fire’ and care about our faith. “There are so many people here, and it is such a joyful atmosphere here among all these pilgrims that have come together,” he said. “You don’t feel like you’re the minority, which can sometimes happen at home in Australia, which is very secular. 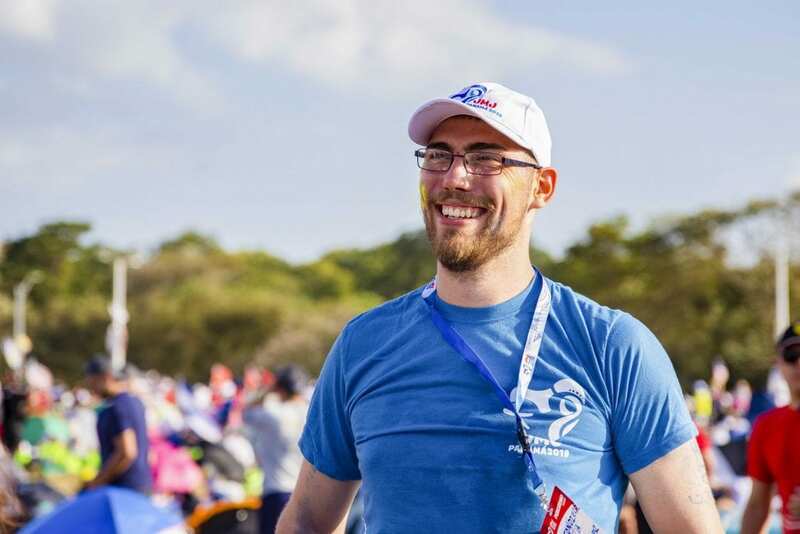 “Being here, you have other people who are walking together with you on this journey of faith – World Youth Day has truly been a great blessing,” he concluded.